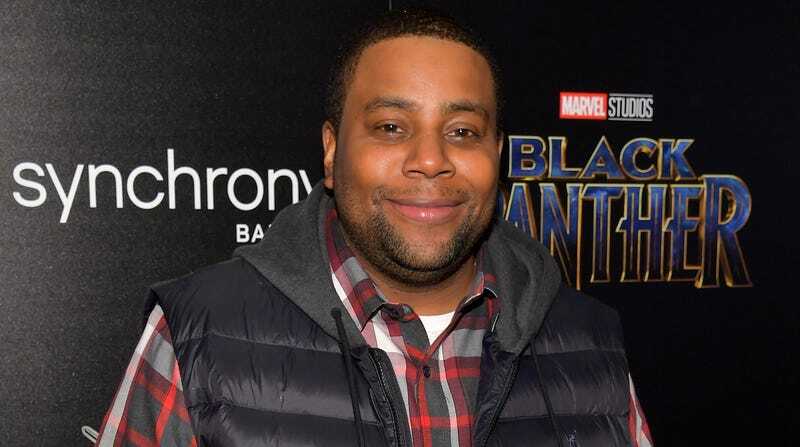 Way back in 2014, rumors started to swirl that Kenan Thompson was preparing to leave Saturday Night Live, a decision that was supposedly reversed after Lorne Michaels stepped in and convinced him to stay. The rumor was disputed at the time, and seeing as how it’s 2018 and Thompson is now the longest-tenured member of the SNL cast, it really seems like he’s not in any hurry to leave Studio 8H for good. As it turns out, there may even be a reason for that, with Thompson telling The Hollywood Reporter that he’s actually scared to leave SNL. Elsewhere in the THR chat, Thompson mentions that he felt “a little guilty” when he passed Darrell Hammond’s record for being on SNL the longest, saying that he and Hammond have always been close and that he sees him as a “Yoda” figure who likes to check on Thompson to make sure he’s doing well. Apparently he was “cool about it,” though. Also, speaking of other things that seem like they’ve been on SNL forever, Thompson says that Alec Baldwin “knocked it out of the park like real hard” when he first did his Donald Trump impression, comparing it to the kind of “explosive” response that impressions like Tina Fey’s Sarah Palin have gotten in the past. What Up With That? What. Up. With. That?